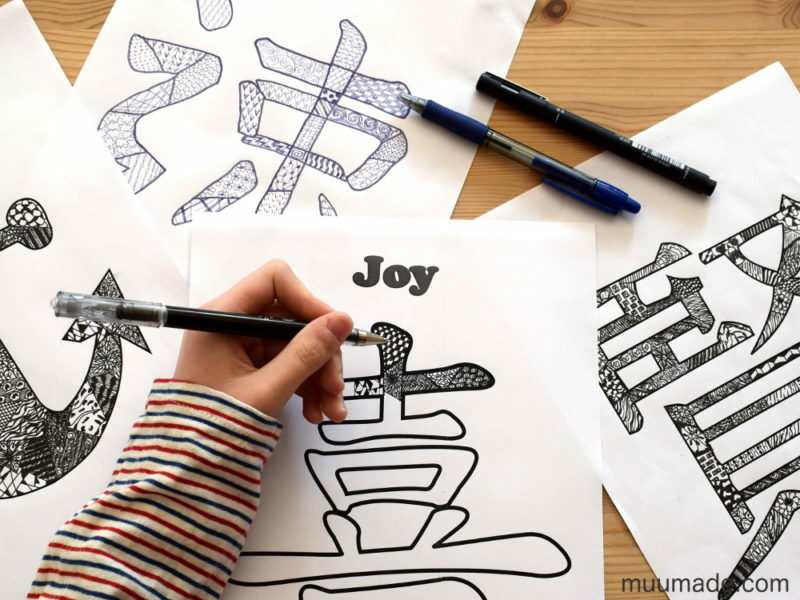 Doodling patterns inside Chinese characters is a great way to familiarize yourself with their beautiful shapes while at the same time having fun by making beautiful patterns. 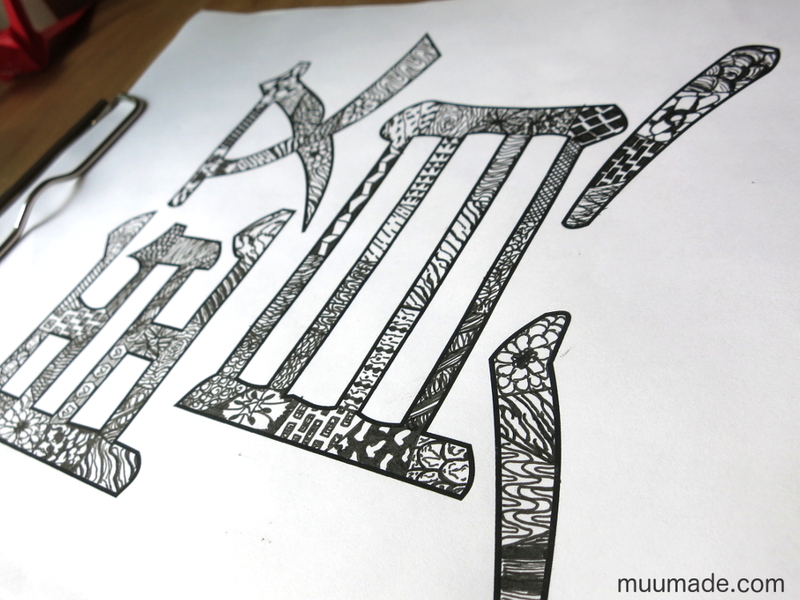 But what exactly is doodling? 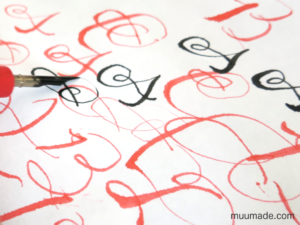 According to the Merriam-Webster online dictionary, the word doodle is defined as an “aimless or casual scribble, design or sketch.” Now that does not sound all that productive, does it? But in truth, doodling has been found to help us concentrate, be productive and even inspire new ideas! I have also found that doodling patterns helps me to disconnect and relax. 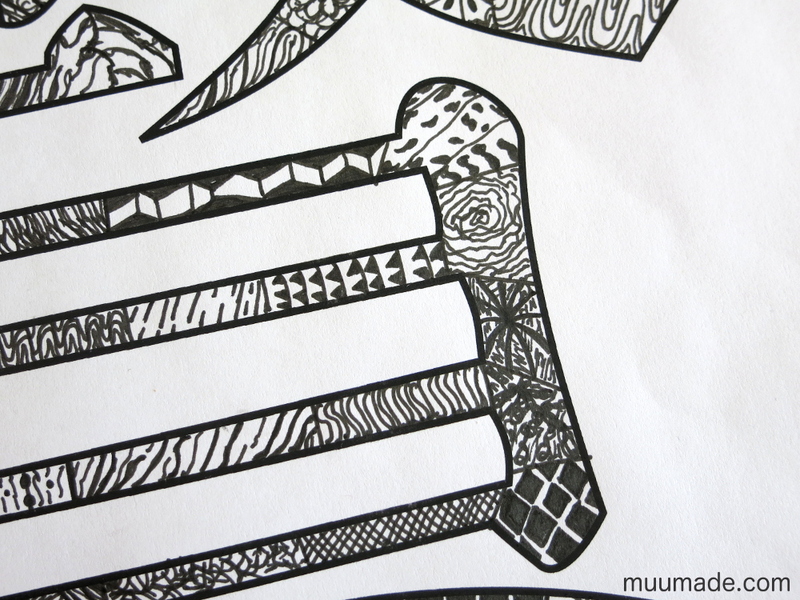 So, here is how to doodle patterns inside a Chinese character, or inside any other shape for that matter: As shown above, draw lines to create separate sections inside the character or shape and doodle any pattern you wish in each section. It is as simple as that! 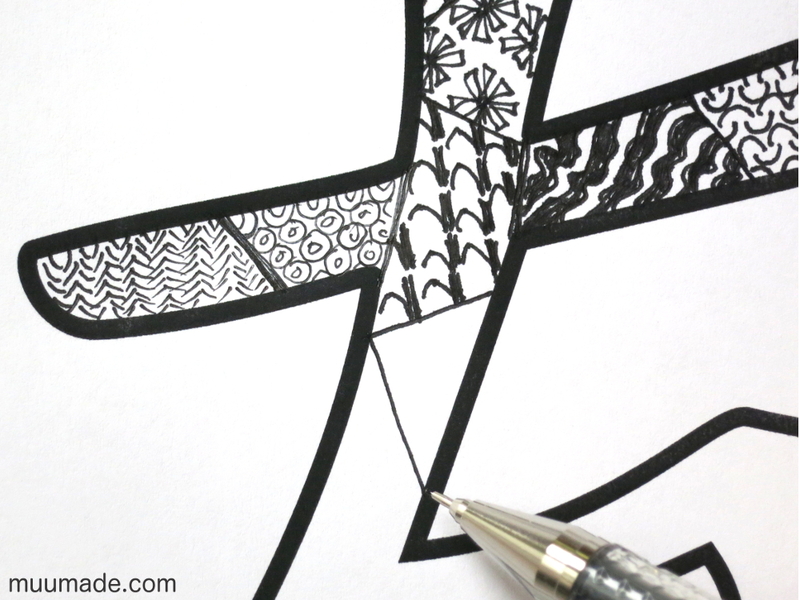 Even though doodling in itself is not hard, coming up with patterns to doodle may not be as easy as you think. 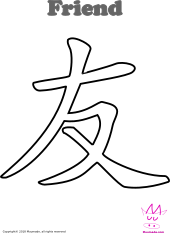 In fact, when I suggested the idea to my daughter, she said that she was not sure that she would be able to fill all the sections of a Chinese character with unique patterns. 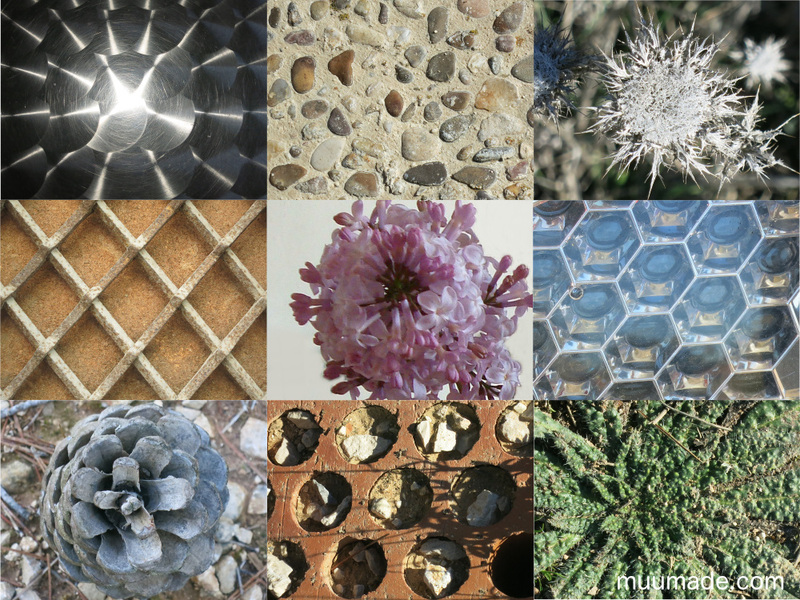 So, we started by looking for patterns in our environment to inspire us. 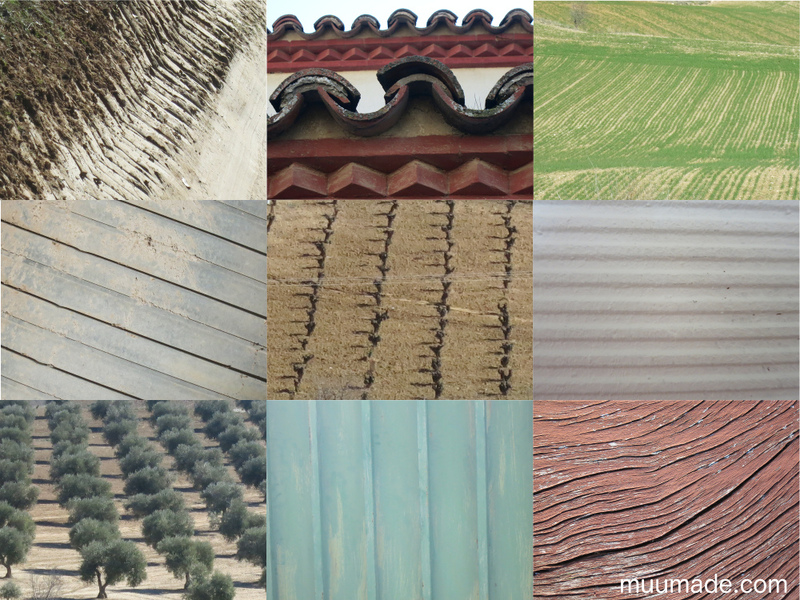 Above is a collection of linear patterns, which we found during a walk. 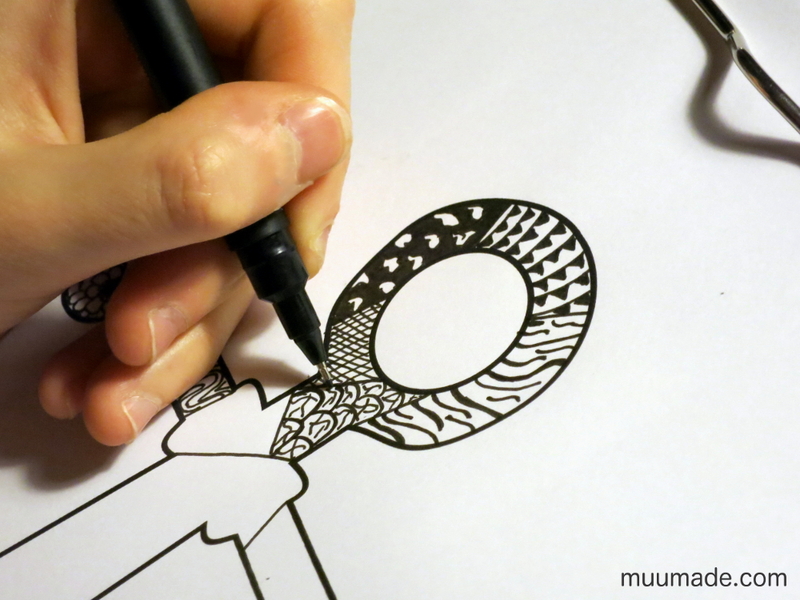 See how some of the images were transformed into doodling patterns? 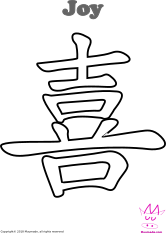 Here is another collection of images. Combining different types of patterns makes the whole design more interesting. 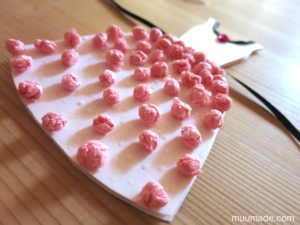 Try making a pine cone or a flower design that spreads outward from the center. And then make stripes or waves right next to it. Playing with the contrast between black and white also helps bring depth to your work. 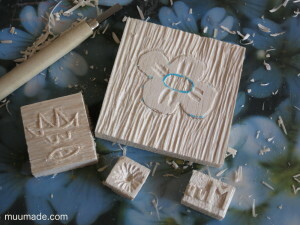 Try lines of different thicknesses. You can also color in some areas. 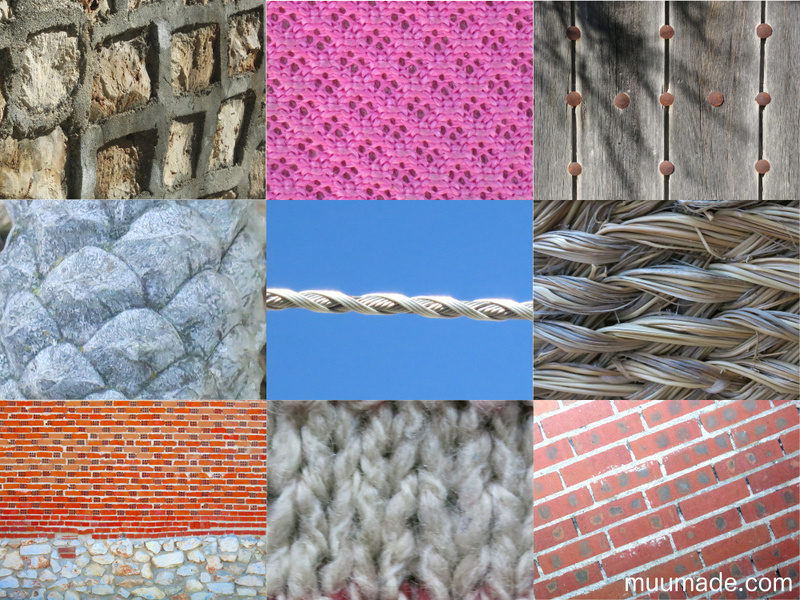 Above are some other interesting patterns that I found in everyday places, from knitwear to electric cables. I hope that my collection of pattern images will help you to get started with doodling patterns. I also encourage you to look around yourself to discover more patterns just waiting to be incorporated into your doodles. 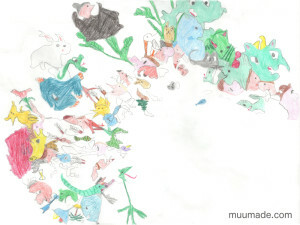 If you would like to share images of your creations, please visit Muumade’s Gallery.